Mixed Metal Necklace on a 20 inch stainless steel chain. 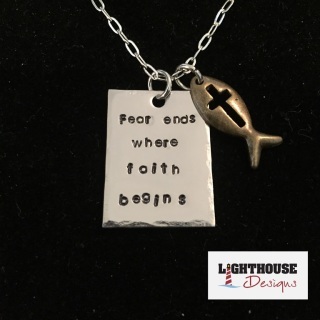 Stainless steel pendant on a 20 inch stainless steel ball chain. 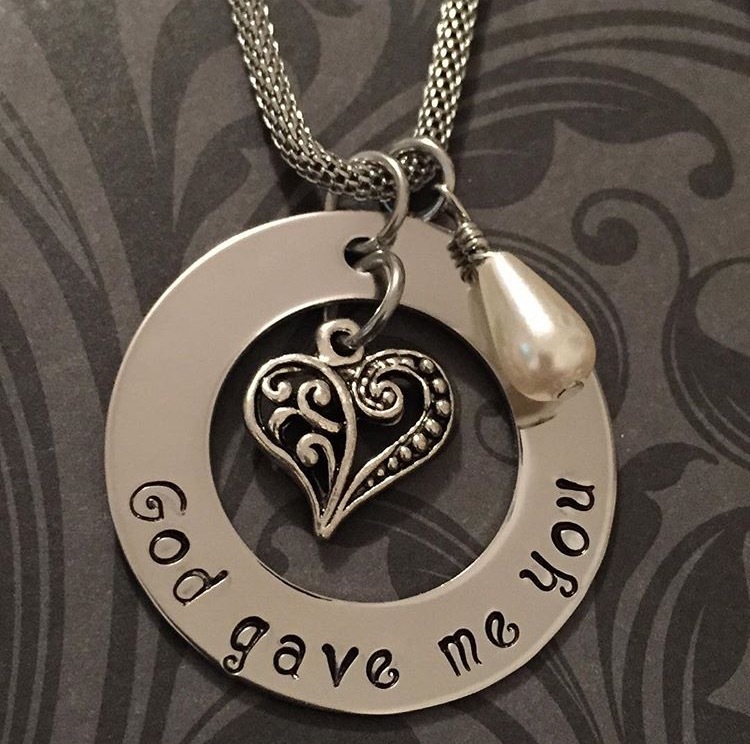 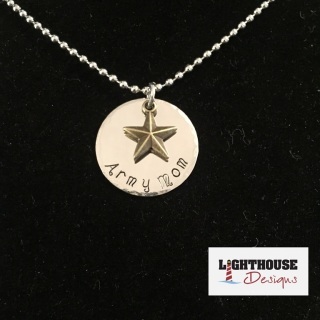 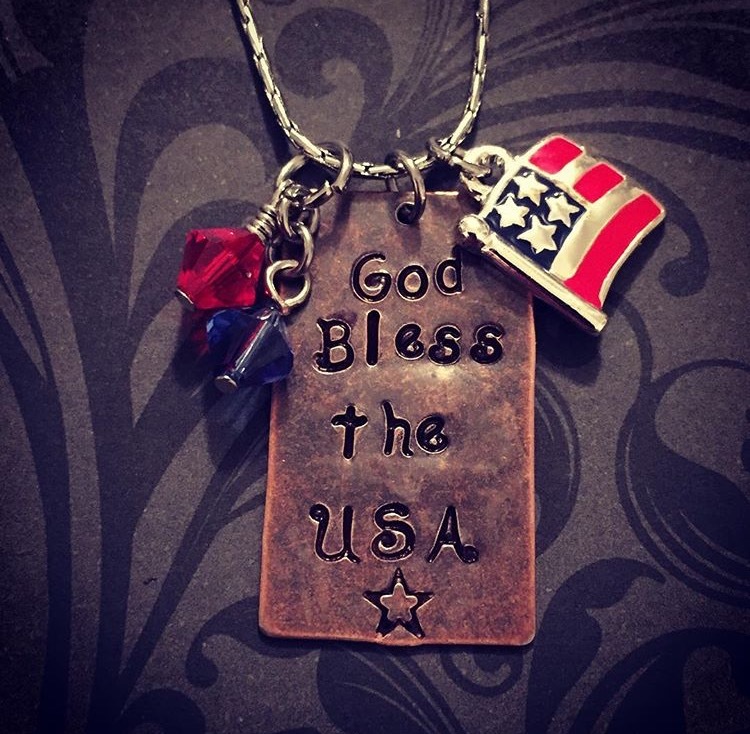 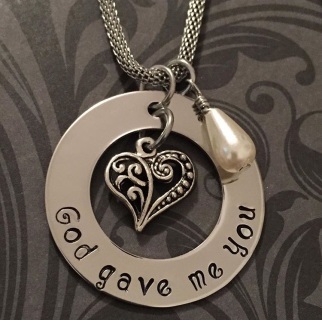 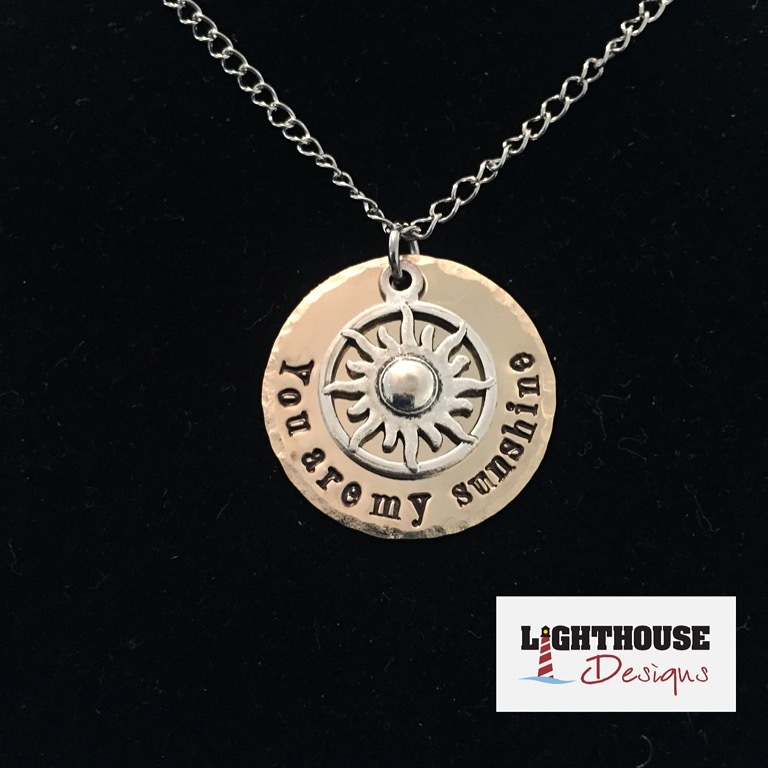 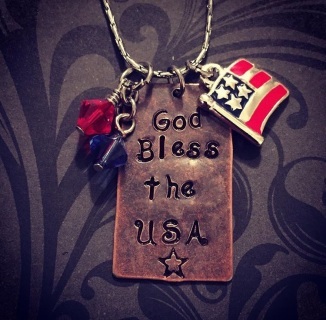 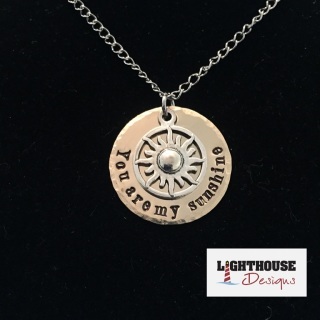 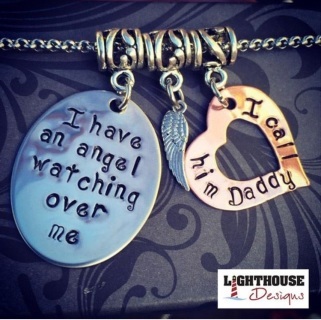 Show that you are a proud Army Mom with this custom neclace. Copper pendant on an 18 inch stainless steel chain. Stainless steel pendant on an 18 inch stainless steel chain. 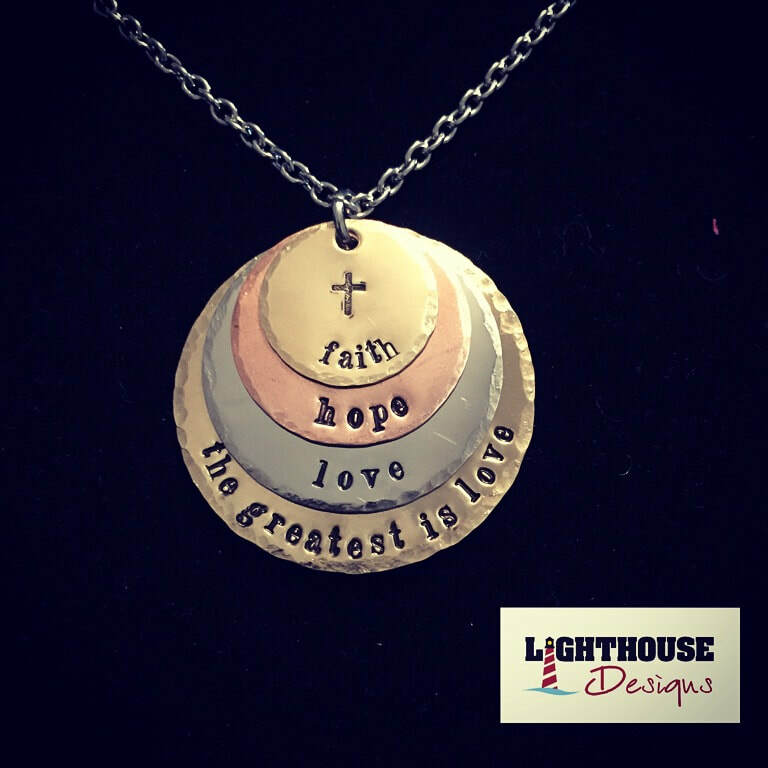 Brass pendant on an 18 inch stainless steel chain. 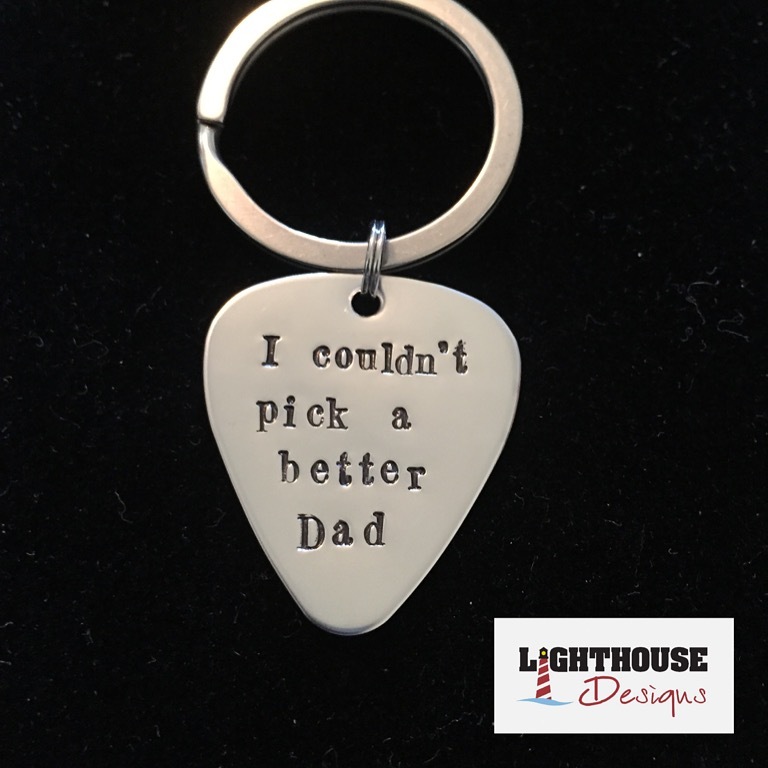 Stainless steel guitar pick stamped with "I couldn't pick a better Dad". 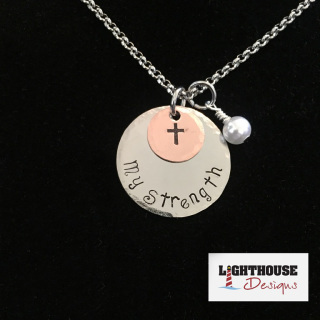 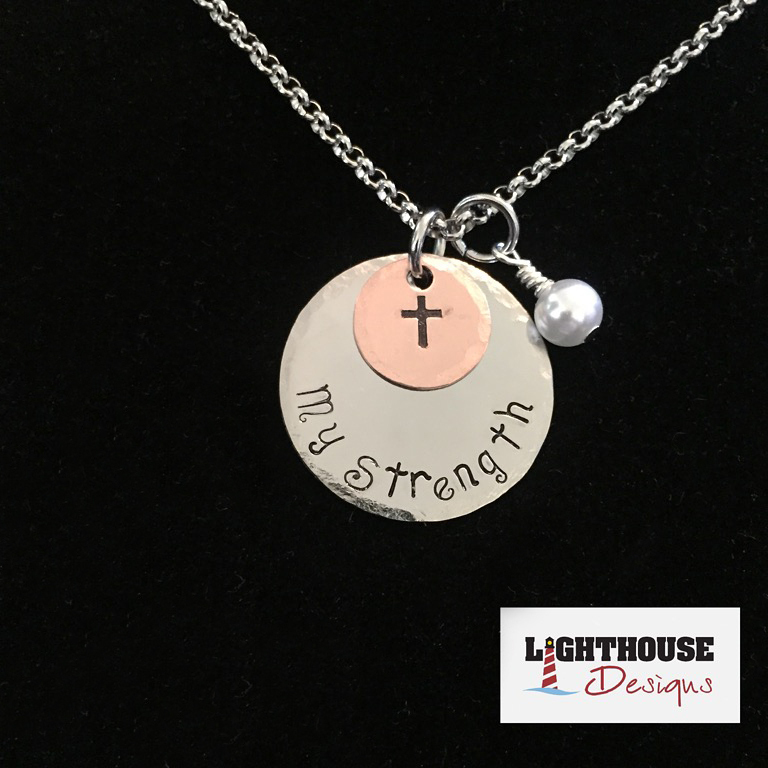 Mixed metal pendant with a pearl on an 18 inch stainless steel chain. 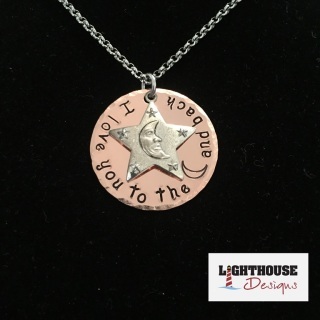 Copper and Swarovski crystal necklace on a 20" stainless steel chain. Stainless steel washer on a 20" stainless steel chain.